It’s rare for me to find my name in a cosmetic item—even though I really do not have an uncommon English name—and I almost always buy a similar-named one when I see it. Over the years, I’ve picked up NARS Christina lipstick and nail polishes Zoya Christinna, NYX Christine, and Julep Chrissy and Christa. Only one of those is my actual name! 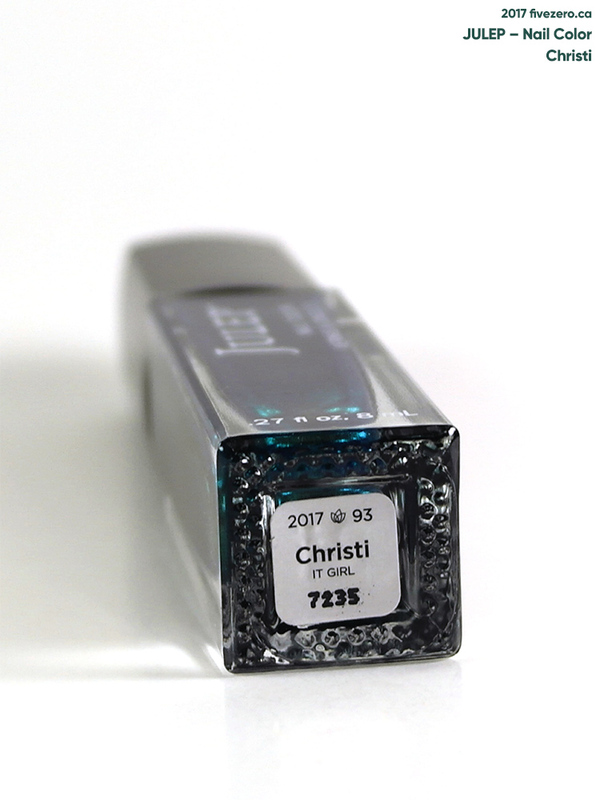 So, when Julep released a polish named Christi in their latest collection, I was thrilled to see that it was a color I liked, and included it in my October Maven Box. 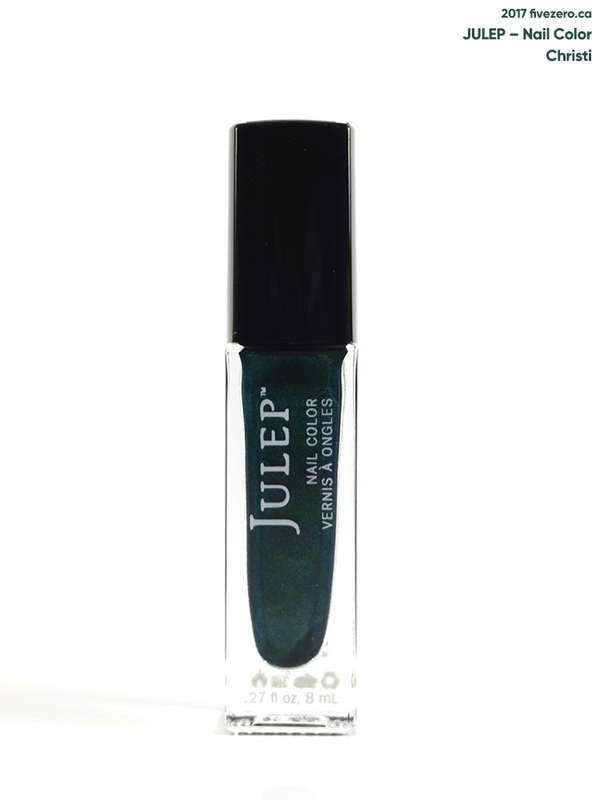 Julep calls it an “enchanted teal shimmer”. I don’t think it’s super-enchanting (somehow that evokes iridescence in my mind) but it’s hot stuff, nonetheless. It’s a deep, vampy teal shimmer that leans a little more green—at least on me—though when I removed it, it looked very blue and stained my nails blue. These deep, rich blue shades always seem to stain horribly. Small price to pay for such gorgeousness, in my opinion. The formula is very nice, a little on the thicker side but easy to handle. Two coats give perfect, lush coverage. The polish could dry a tad shinier, but a glossy top coat fixes all. This is a stunner, and I’m glad I picked it in my Maven Box selection this month! Julep Nail Color* retails for US$14 ($11.40 for subscribed Mavens) and contains 8 mL. However, they very often go on sale for around $5–7. Julep nail polishes are vegan and free of toluene, formaldehyde, formaldehyde resin, dibutyl phthalate (DBP), and camphor. They are made in the USA. Julep Beauty, Inc.* was founded in 2007 by business executive Jane Park. It started as a chain of nail salons in the Seattle, WA, area; by 2008, the company was online. The Julep Maven subscription service was launched in 2011. The company is cruelty-free, its products are made in the USA, and it remains based in Seattle, WA, USA. ** Nail Colors are vegan; other cosmetic products are not necessarily vegan. Beautiful colour, too bad it stains! This color is so pretty! I haven’t seen anything like it before!